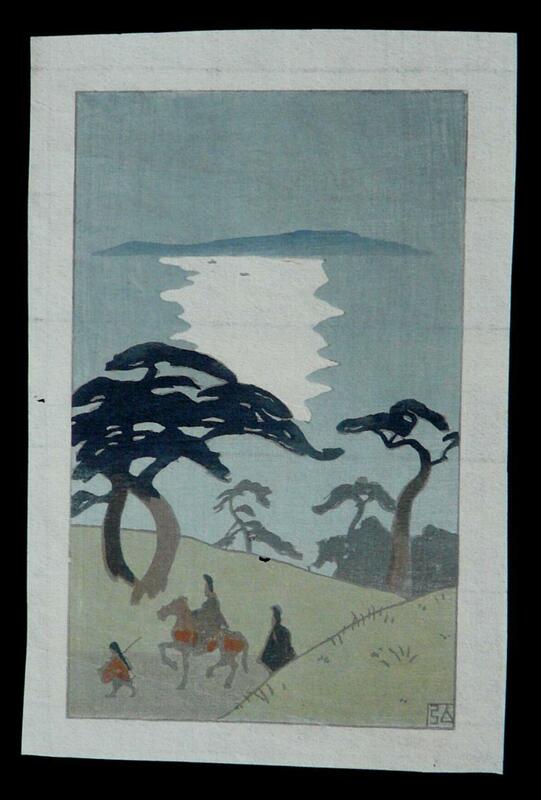 HIROMITSU NAKAZAWA was Born in Tokyo and Lived from 1874 to 1964. 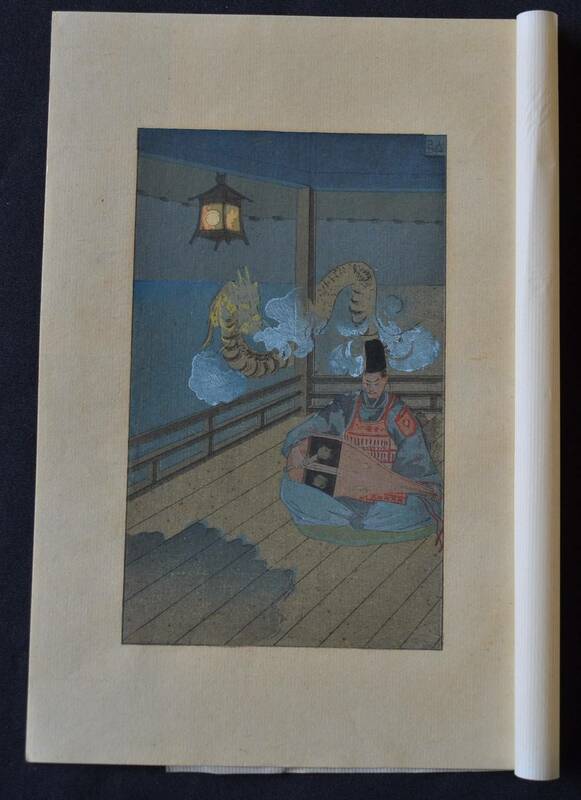 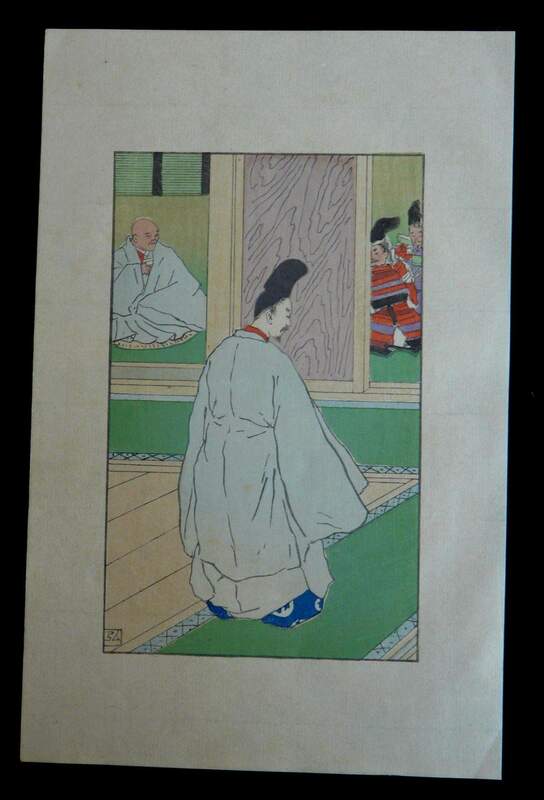 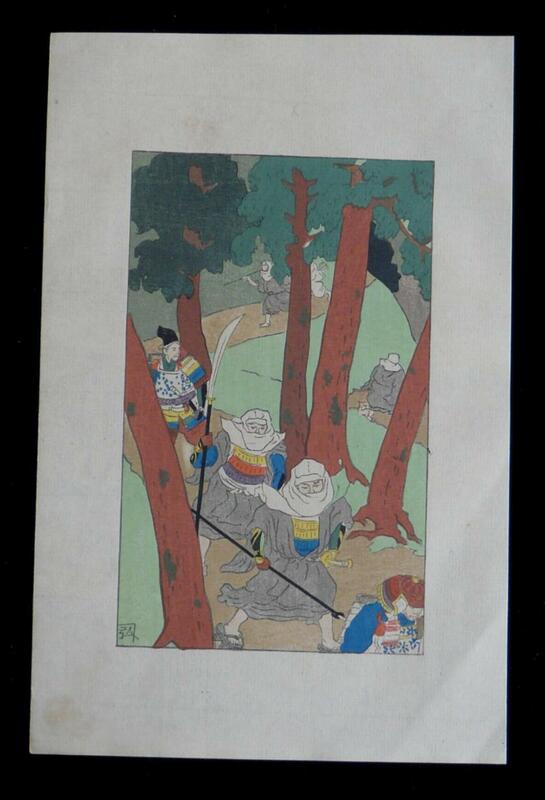 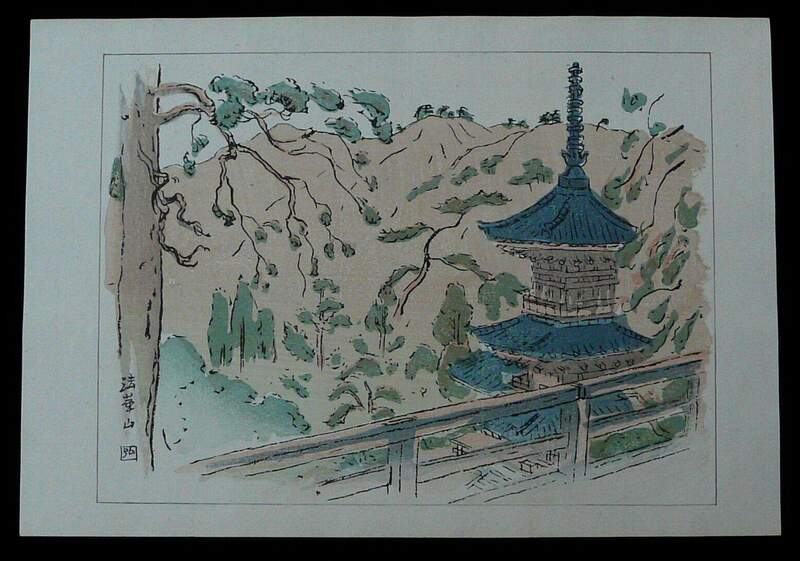 He studied Western painting at the Tokyo School of Fine Arts for four years prior to 1900 under the tutorship if Kuroda Seiki and during the difficult years of the early 20th Century was chosen as one of the artists to create a scene from the Complete Works of Chikamatsu which was published in the 1920s. 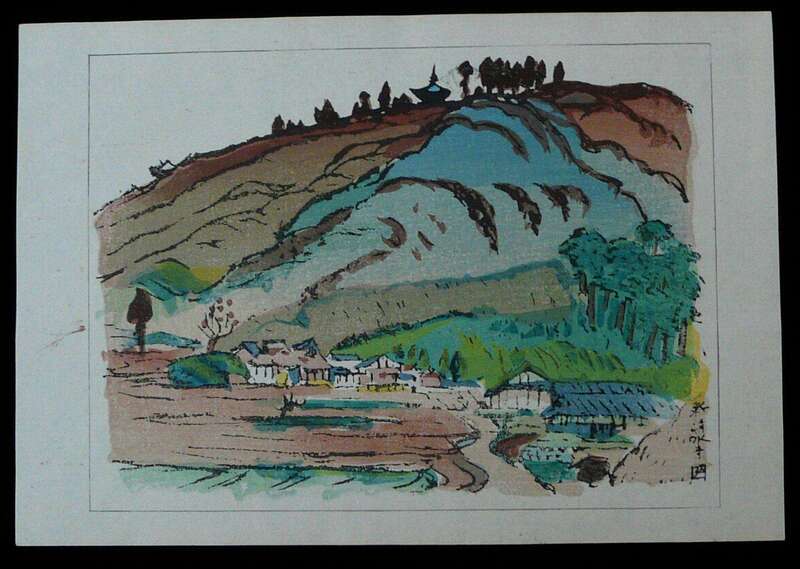 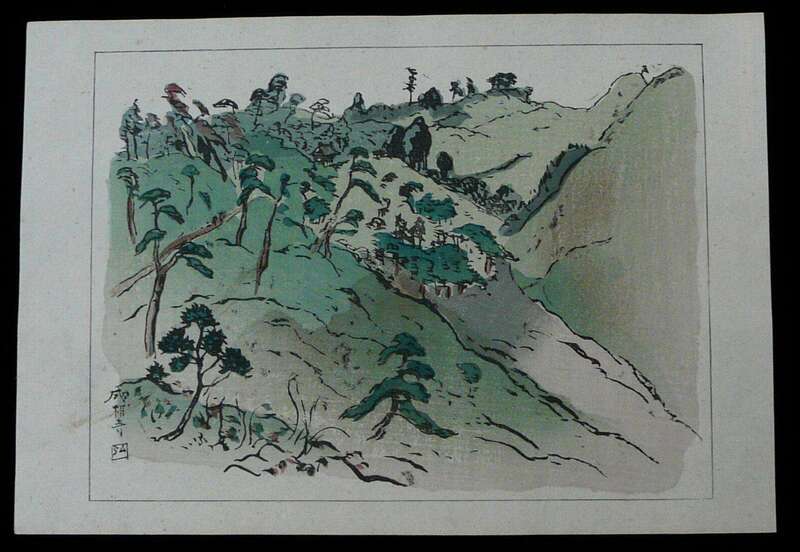 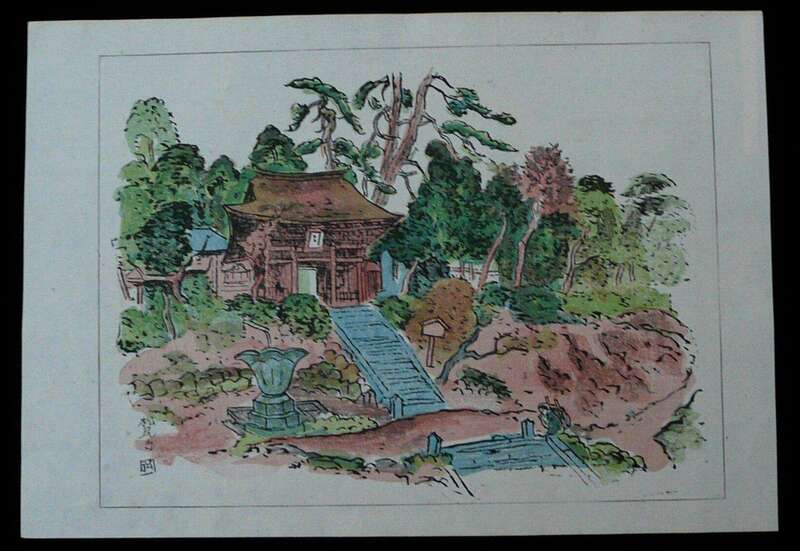 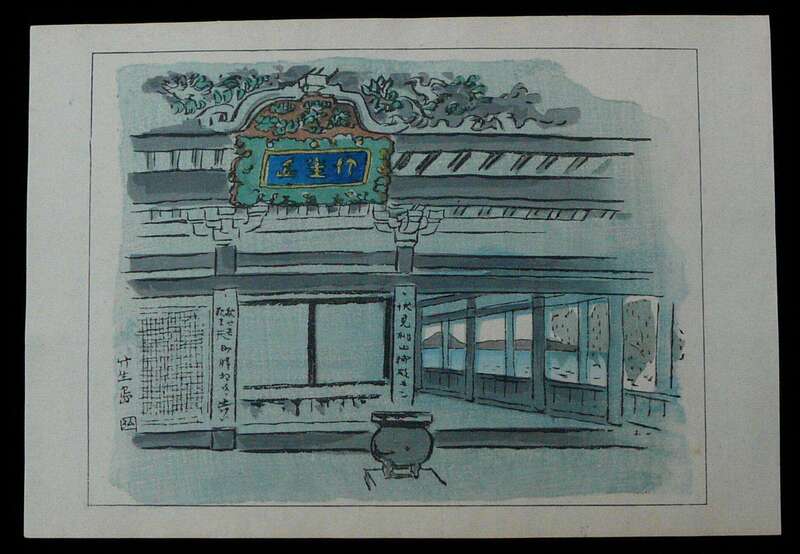 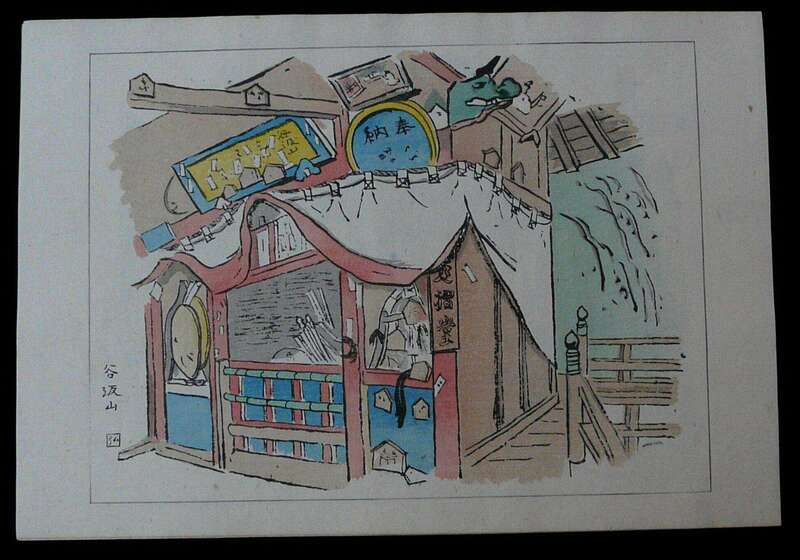 He was one of the Earliest Moku Hanga Artists but he did not gain any great appreciation or recognition until after the Second World War when his style and skill was accepted by a wide audience and he won a number of awards in Japan. 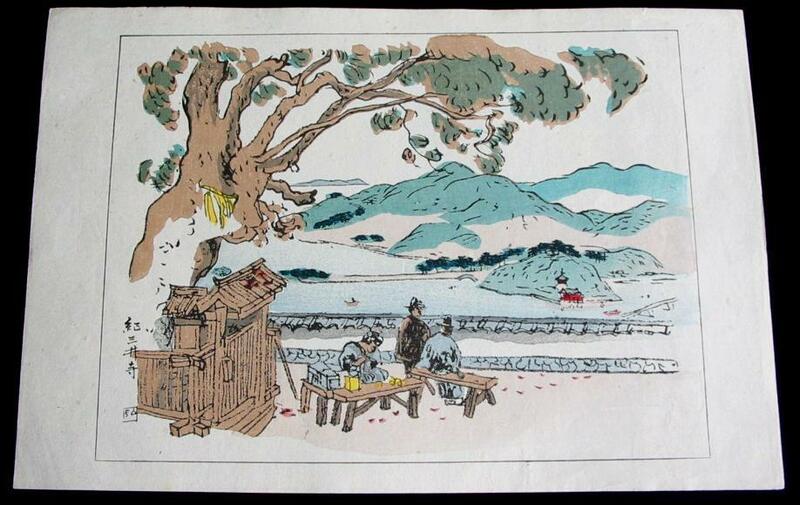 A VERY RARE SCENE in Very Good Condition for Age. 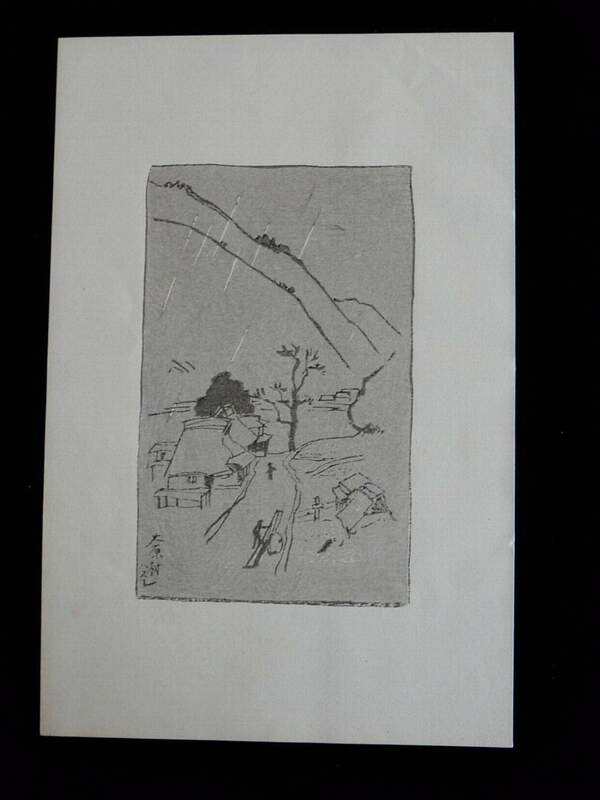 Very Good Condition for Age with 3 Tiny Worm Holes. 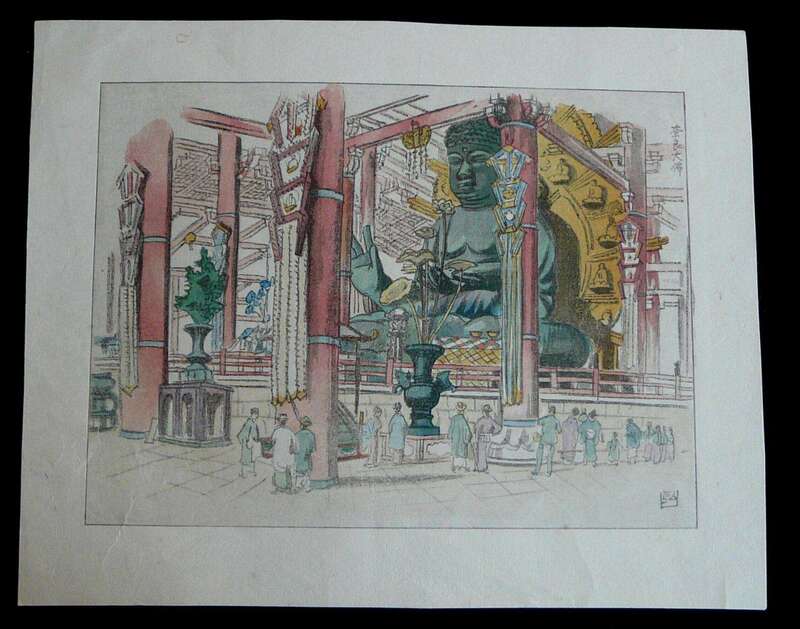 Also, please view our More Shin Hanga Artists page for prints by: Bakufu, Ohno; Endo, Kyozo; Fujisawa, Tomoichi; Hideo, Nishijyama; Ikezumi, Kiyoshi; Kagiya; Kawai, Kenji; Okada, Koichi; Okumura, Koichi; Sekiguchi, Shungo; Shoson, Ohara and Tomonosuke, Takagi.